A staggering study into how the current weight-loss advice is making us fatter! If the solution is as simple as ‘eat less and do more’, why are 90% of today’s children facing a fat future? What if the current diet advice is not right? What if trying to eat less is making us fatter? What if everything we thought we knew about dieting is wrong? This is, in fact, the case. 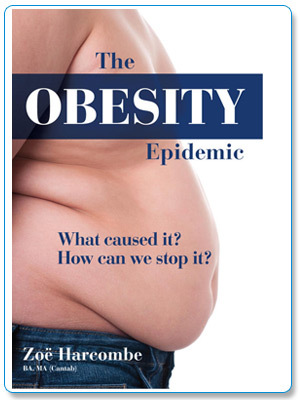 This book will debunk every diet myth there is and change the curse of The Obesity Epidemic. This is going to be a ground breaking journey, shattering every preconception about dieting and turning current advice upside down. Did you know that we did a U-turn in our diet advice thirty years ago? Obesity has increased six fold since – coincidence or cause? Discover why we changed our advice and what is stopping us changing it back; discover the involvement of the food industry in the world of dieting; discover how long we have known that eating less and doing more can never work and discover what will work instead. There is a way to lose weight and keep it off, but the first thing you must do is to throw away everything you think you know about dieting. Because everything you think you know is actually wrong. The diet advice we are being given, far from being the cure of The Obesity Epidemic is, in fact, the cause.